DRAKE did not perform at a gig he was paid $335,000 for. The rapper was booked to perform at pop-up nightclub, VIP ROOM, in Abu Dhabi on Saturday (26.11.16) night but there are conflicting reports about why he did not take to the stage at the gig, despite reportedly being paid in advance. A representative told Mirror Celeb the day after his no-show: "Due to Drake's overwhelming popularity the sheer number of people that turned up outside of VIP ROOM made it completely unsafe for Drake to even enter the venue in the end so he was unable to perform. "Saying that he will still be performing at VIP Room tonight alongside other celebrity guests." 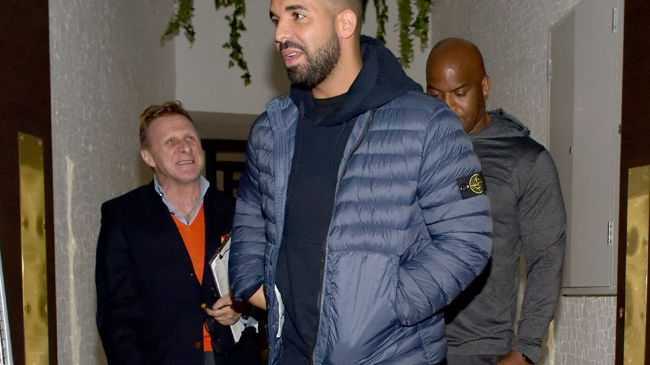 However, a source told the publication that Drake's appearance was axed for other reasons. The insider said: "His management had an argument with the management of Abu Dhabi pop-up nightclub VIP ROOM last night and he didn't turn up for an appearance that he'd been paid £200k for. "DJ Bliss, the most famous DJ in the Middle East, had to play all night as Drake was a no show. "Drake is due to perform at the club again tonight, but it's not unknown if he will turn up."